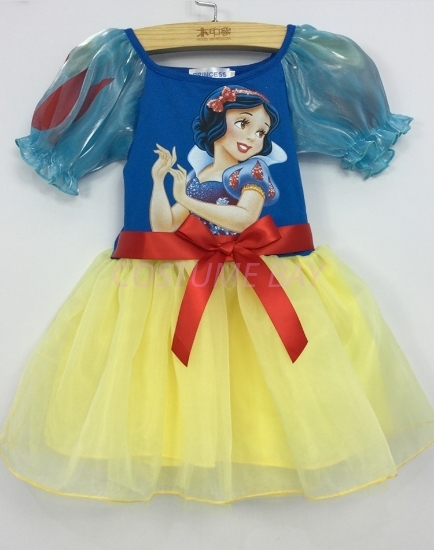 Your girl will look enchanting in this beautiful Snow White dress! Your girl will look enchanting in this beautiful Snow White dress! The dress is decorated with a beautiful princess design and perfect for everyday play or any parties.